I’ve been told this is one of my best cakes to date… 🙂 try it at home you will surely win many accolades too. 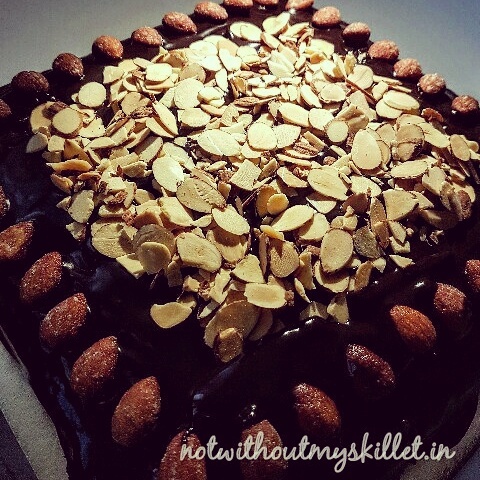 So baking this cake is a complete joy! It required very little effort and if you are not as finicky as me, you can buy ready-made honey roasted almonds by Blue Diamond sold at Nature’s Basket and many other stores. I however slow roasted the almonds after coating them with sugar-free honey till they were crisp. I then sprinkled some salt over it too, to give it that delicious touch! I didn’t bother to slice my almonds, just got a 100 grams packet or pre sliced almonds and then roasted it in my oven at 200 degree Centrigrade for 10 minutes. 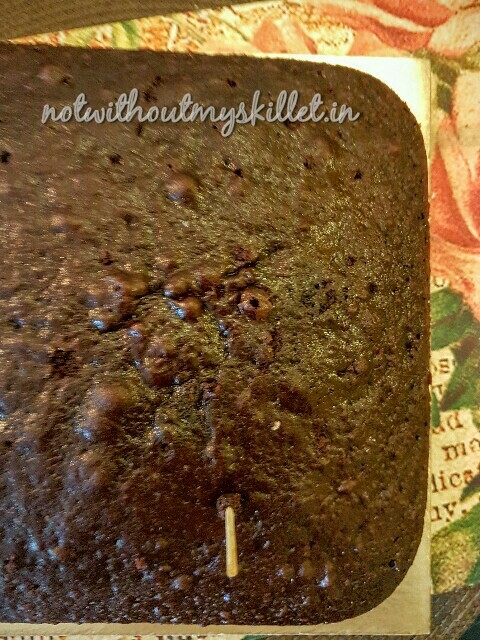 For the basic chocolate cake recipe you can refer to the recipe in the link. And then just play around with the garnishes. I’ve used very little cream here, actually almost none, and made my chocolate ganache by mixing 3 portions of sugar-free chocolate compound with 1 portion of hot soya cream and stirring it till the chocolate melted and I got a shiny chocolate ganache. 1. Follow the Chocolate Martini Cake recipe till stage 7. 2. Cool the cake. I’ve kept the cake light and not filled it up with cream. However if you wish, you could slice the cake into half horizontally and fill it with soya cream or chocolate ganache. 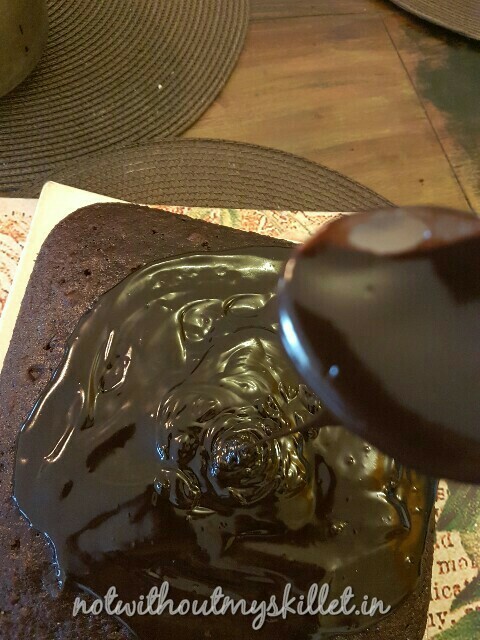 I’ve used a thick ganache using 3 parts of chocolate and 1 part cream. 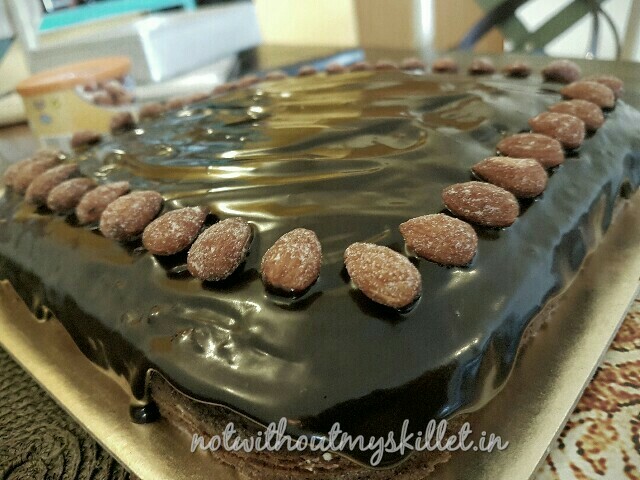 You could use a normal ganache or even Nutella! 3. 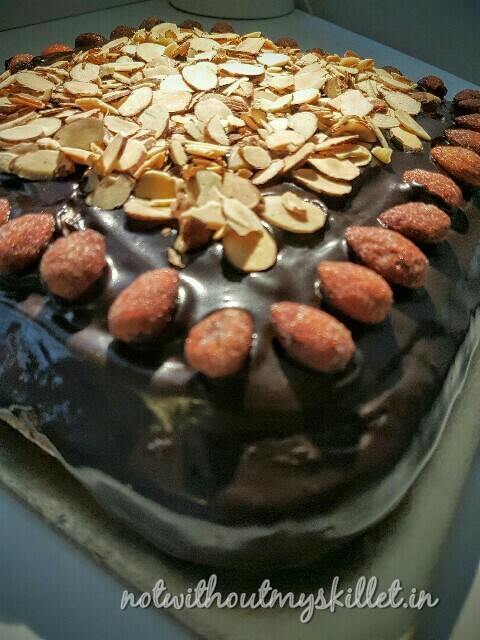 Once the cake is cool, pour the ganache over it and then simple arrange the honey roasted almonds in a design and sprinkle the roasted sliced almonds in the centre. 4. Do not cool this cake, since the proportion of chocolate is higher than the cream, if you cool it, you will end up with a hard chocolate layer that will crack!